Connect and collaborate with HDF users from all over. For over 25 years, our diverse global community of organizations and software developers have applied HDF technologies to solve their specific computing challenges. You can speed up and improve your own software development by engaging with the HDF community. Submitted to The HDF Group, including tools and other packages. 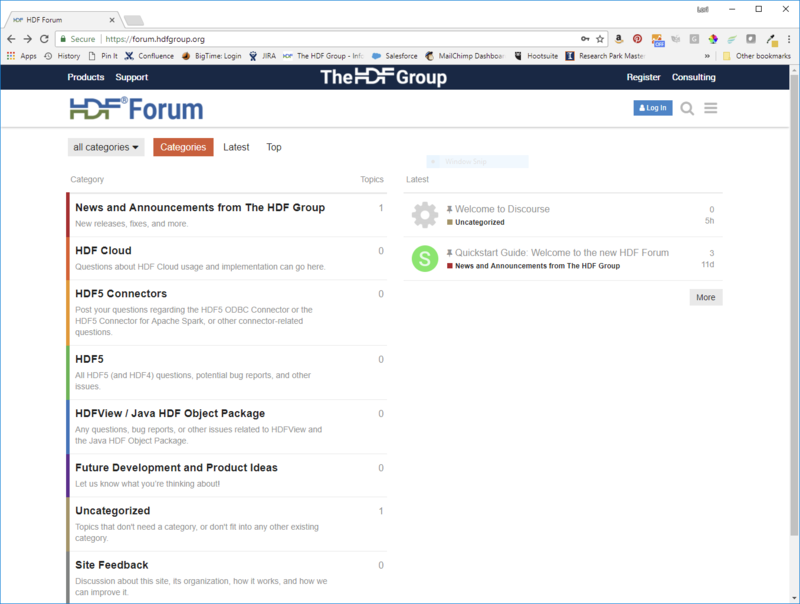 The HDF Forum has long been a place for users to go for community-driven help and expertise. Browse the archives or post your question. 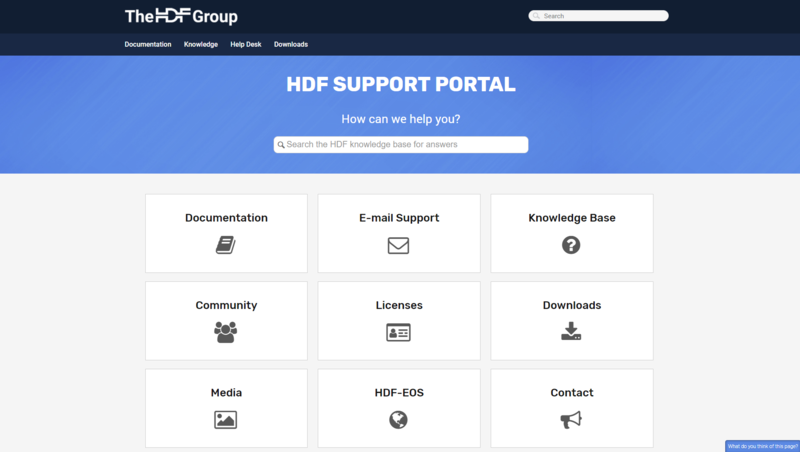 Visit The HDF Group's Support Portal for a wealth of documentation, a searchable knowledge base, and community support.